For the traveler with automotive interests, the specificity of the Via Corsa books far surpass the generic tourist guides. The first two releases in this new series of special-interest guidebooks cover Arizona and Southern Germany. Having lived in both of these places, this reviewer can say with conviction that the guides are thorough enough to surprise even the locals with their level of detail. Two examples: the existence of the Franklin Museum in Tucson, AZ is as much a mystery to most of that town’s inhabitants as the birthplace of Gottlieb Daimler is to the good people of tiny Schorndorf, Germany. These books not only list them but offer opening hours, photos and descriptions of their holdings, and even driving directions. Before you dismiss the idea of a printed travel guide as outdated, consider that electronic updates are available on the Via Corsa website. Finding himself idle in a bookstore one day the author inquired about car travel books—and discovered none, or at least none that appealed to him, existed. This he found sufficiently disappointing to take it upon himself to write and self-publish some. Having lived in Germany and the US (in fact Arizona these days) he started the project by writing about what he knew. 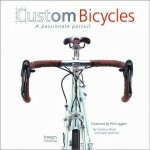 Future editions will include Northern California, Southern California, and Northern Italy. Adams is also a car racer at the club level, collects automobilia, and worked in the diecast model industry for over 15 years. Ergo, his own interests in cars and car-related “stuff” give him a good handle on what like-minded enthusiasts would want to know, even to the extent of including other transportation-relevant venues such as Arizona’s acres of mothballed aircraft and Titan Missile Museum (the latter, incidentally, not called out in the index) or Germany’s Sinsheim Technical Museum, the only place in the world to have two supersonic airliners—a Concorde and a Tupolev—bolted to the roof. The basic approach these books take is to introduce a geographic area in terms of general history and attractions (cf. wineries, landmarks) and specifics such as climate and traffic laws, and then offer close-up looks at specific topics/activities and road trips. Each main section has its own color tab. 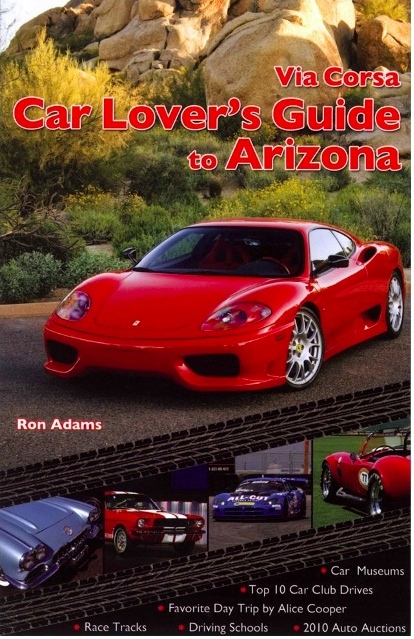 The Arizona book, for instance, covers the slew of January auto auctions (along with an interview of Barrett-Jackson CEO Craig Jackson), and car museums, car shows, race tracks (including track layouts), driving schools, the Copperstate 1000 rally, and an inside look at the Ford Motor Company proving grounds. All this is sprinkled with snippets of local car culture such as that part of Route 66 that passes through the state or the favorite drives of Phoenix residents Alice Cooper (musician) and Arie Luyendyk (race driver) or the longest-running weekly car gathering in the US. 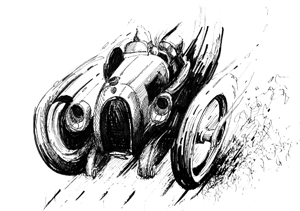 The Germany book was done in collaboration with Munich-born and -based Oliver Littman, an Art Center College of Design grad with a multitude of automotive interests. This book is rather more extensive in its treatment of general history and local color, including such background as a snapshot of the history of the Autobahn or Messrs. Daimler and Benz. 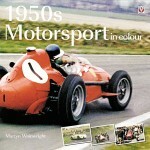 It then describes more than two dozen museums, famous tuning and aftermarket houses (Lorinser, MTM, Ruf to name a few), major race tracks, driving schools, factory tours (Audi, BMW, Mercedes-Benz, Porsche) and manufacturers’ museums. Special features present the final assembly of BMW’s 5 Series at their Dingolfing plant and the production of an 1/87 scale model car at the Herpa factory. 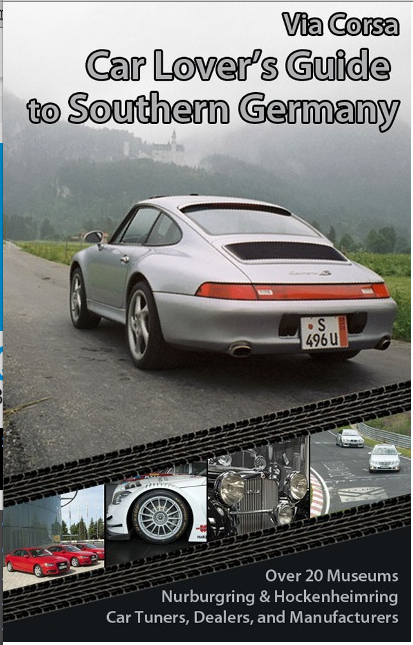 Interviews with several professional drivers (Hans-Joachim Stuck, Derek Bell, Susie Stoddart, Sabine Schmitz, and Wolfgang Kaufmann who takes the reader on a virtual lap on the Hockenheim- and Nürburgrings) provide entertaining insights, and micro detail such as a calendar of events, Autobahn driving etiquette, road signs, and license plate nomenclature etc. will make you feel comfortable forging your own way. The road trips give directions, driving time, scenic stops and attractions along the way as well as hotels and even restaurants. The maps provided will give you a basic sense for the lay of the land; detail maps for the various venues (museums, car shows etc.) show their relation to major roads or highways and even show parking lots. 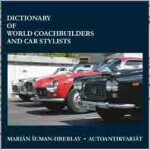 In addition the Appendix includes such niceties as a glossary of German words and phrases, many of which car-specific (insurance, car parts, directions etc.). For the armchair traveler the writing is lively enough to make a good read all on its own! On the editorial and proofreading end there is a certain looseness but for a self-published, and first, effort these books are a remarkably sophisticated accomplishment! There are LOTS of photos (mostly the author’s); they are obviously small because the whole point of these books is portability—they are sized so as to fit into a glove box and, if you don’t mind bulging pockets, even a sports coat. The books are indexed, intelligently designed, and the overall attention to detail and clarity of presentation detail are impressive. And, in case you’re wondering, “Via Corsa” is a made-up word! The Arizona Guide was helpful by far and I hope in the next two years I can tell you that the Southern Germany one is helpful as well. Well worth it if you are cruising through any of Via’s locations.